This St. Patrick’s Day, the Birmingham City Council approved the city’s first entertainment district. The BJCC will be presenting the Uptown Entertainment District to the Council for consideration during the March 17, 2015 meeting (Item 1). The district would be the first established since the passage of an amendment to Birmingham’s ordinance on “Intoxicating Liquors” in September 2013. 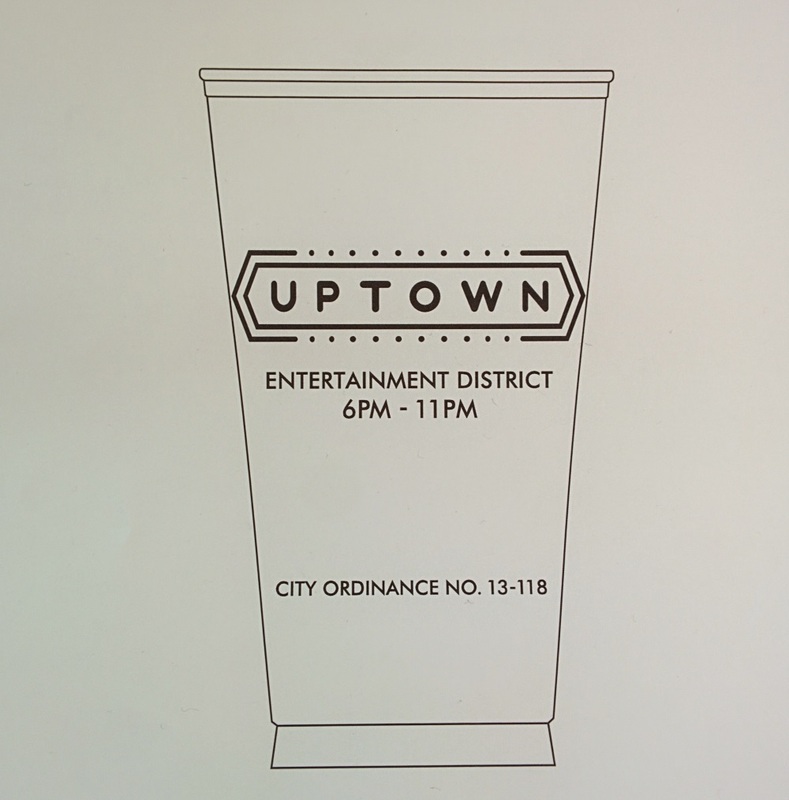 The design for the “to-go” cups to be used by businesses were not subject to Design Review Committee (DRC) approval though they were presented during the end of the review process last fall. 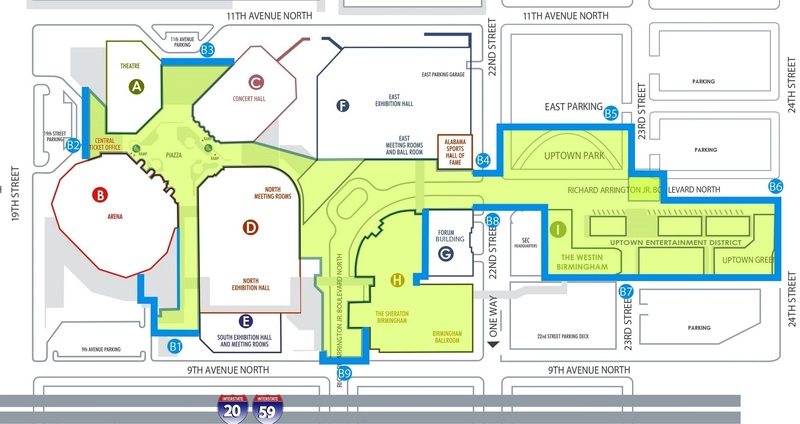 The BJCC received DRC approval for the necessary signage identifying the district’s proposed boundaries in October 2014 after reviewing options since that July. There is no official word about how soon the pole signs, designed by a local graphic designer, would be installed; it is also unclear as to when the relaxed rules would take effect. During discussion involving the ordinance before the vote (unanimously 7-0; Councilors Lundy and Tyson were not present), Councilor Abbott suggested that the bugs get worked out in Uptown first before tackling other proposed districts. Council President Pro-Tem Roberson pointed out the potential financial benefits related to this district and future proposals.